Last year the Spiffy team symbolically adopted a penguin and named her Spiffy! Since then we have been updating you with her many adventures. She has been busy raising chicks, migrating and soaking up the sun in Brazil. If you love penguins this is the blog for you! Spiffy has been working hard providing food and love to her two chicks. With La Niña creating strange ocean currents, pushing fish farther away from the coastline, Spiffy has had to swim farther than normal to catch food for her chicks which is an exhausting ordeal. After a few weeks of this, she took a much-needed break. And what better place to grab some R and R than the middle of the ocean! Spiffy has been drifting slowly with the waves far off the coast, with nothing to bother her. Spiffy doesn't even need to travel for food, all she has to do for a quick snack is dive to catch fish. However, this vacation cannot last forever, Spiffy will have to return to land to molt. Molting is triggered by the large consumption of food during her penguin vacation, and once she notices that she had started losing feathers she leaves the water for the three to four week process. During this time Spiffy can't go into the water because without the protection of her feathers she risks the chance of becoming ill from the cold temperature of the sea. 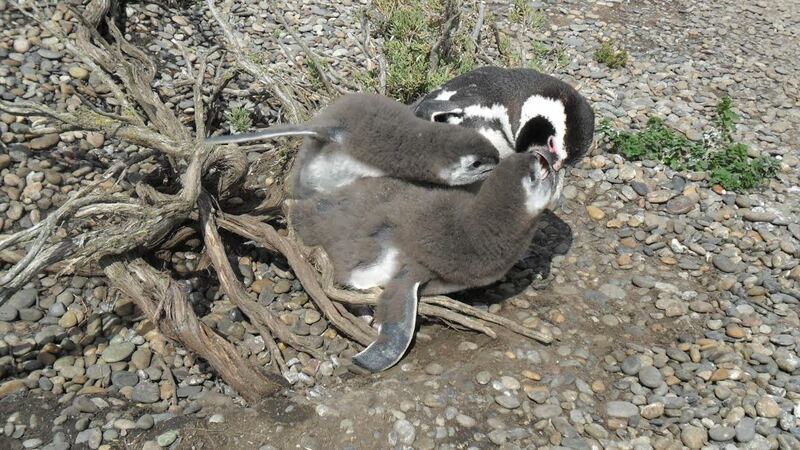 After molting, Spiffy begins her journey up the coast of Argentina towards Uruguay and Brazil. Spiffy does not have a destination in mind on this trip but instead is just looking for warmer weather and bright sunlight. Sunlight is crucial when it comes to catching fish, Magellanic penguins often dive to 25 to 30 meters which is equivalent to a ten story building, so they need the sun to see their prey at that depth. This trip is taken slow and steady, often only traveling a short distance each day. Spiffy enjoys her time out at sea, in fact, penguins often spend most of their lives in the water. There are only three main reasons why penguins leave the water. First being the need to lay eggs, if they were to lay their eggs in the ocean they would just float away, along with that the eggs have to be kept warm causing Spiffy to come to land to lay them in October. After laying her eggs, Spiffy will have to stay on land for longer periods of time to take care of her chicks. Lastly, they come to land to molt, other than that penguins are off in the water floating around. Spiffy will soon make it north to warmer weather and more food. Stay tuned to see what is next in Spiffy’s adventure! 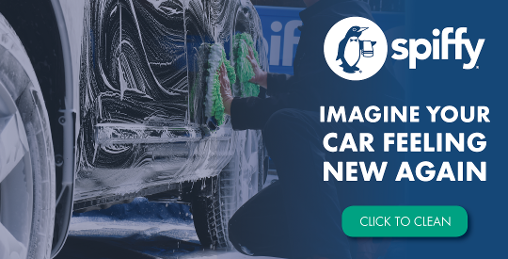 While Spiffy the penguin has been relaxing on the water, Spiffy Mobile Car Washing has been working hard! Enjoy $20 off your first full wash or detail, follow the link below for more information. Lover of Jeeps and pugs. World class Spiffy intern.